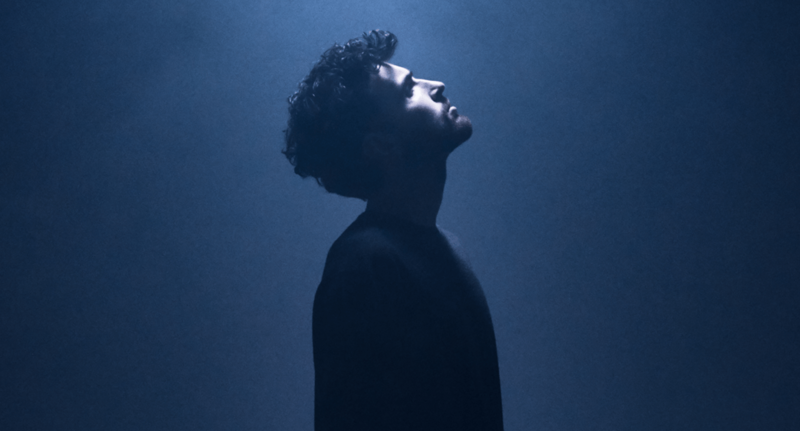 “The Voice of Holland star Duncan Laurence carries with him great expectations to Eurovision 2019. The little-known 24-year-old from The Netherlands is the clear favourite of this year’s contest, having bypassed established artists including Sergey Lazarev, Luca Hänni and Tamta with the bookies. This is thanks to his beautiful, enchanting voice, and the spectacular song that is “Arcade”. Duncan wrote the song himself with help from songwriters Joel Sjöö and Wouter Hardy. Despite the group effort, “Arcade” remains deeply personal. It’s about searching for the love of your life — a hope that Duncan says is sometimes “unattainable”. What are the “Arcade” lyrics about? The song uses the metaphor of an arcade to define love, which he refers to as a “losing game”. He compares addiction to video games as being similar to an addiction to love (“I spent all of the love I’ve saved, we were always a losing game, small town boy in a big arcade, I got addicted to a losing game”). The first verse describes the feelings of hopelessness that come from a lost love – “a broken heart is all that’s left, I’m still fixing all the cracks, lost a couple of pieces when I carried it, carried it, carried it home”. As the song progresses, however, Duncan portrays himself as the author of his own heartache — “I saw the end fore it begun, still I carried, I carried, I carry on” — and resolves to move on. As he sings: “I don’t need your games, game over, get me off this roller coaster”. The lyrics are incredibly powerful, and all the more so with Duncan’s commanding, earnest voice. It’s easy to see why this is so hotly tipped. Songs born of personal experience are often the most universal of all. Holland will not win eurovision with this song. That’s almost for sure. Hahahahaha, i wanna see your face on may 19 at about 00:15 hr…..
Boring and common song. If this win, it is a loss to Eurovision. T H E B E S T ! I get the comments about the Dutch entry getting more attention than others, but to be fair, for the past several years the NL entries got relatively little attention from Wiwi (on a side note, this is still a blog so I don’t think anyone should expect objective reporting). That being said, Duncan is leading all the odds, of course they’ll report on it… Additionally, this article is clearly part of a series of entries on the lyrics from this year’s songs, so it’s kind of weird to call this out here. That’s why yesterday article almost redundant was unnecessary. Folks when we get the running order for semis? 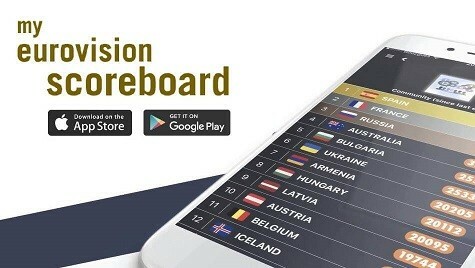 it’s already up on the official ESC website. If you’re looking for raw emotive music, then this song is for you. But if you are looking for more originality of art, you may prefer to look in Portugal’s direction. The reason I like “Arcade” so much is the combination of a lot of meaning in my life in the lyrics with some of my personal favourite musical clash chords. Also, the whole song is an unresolved harmonic progression. Serious musical points. Portugal will be stronger in the final. Portugal maybe will win this year again, it is different of everything else… Songs like dutch song is common and normal in all radios everywhere. If Portugal wins again, I will quit watching forever. Simple, but heartfelt, touching and relatable lyrics. The songwriting reminds me of Coldplay’s early works (and for a slight moment in the beginning I really can picture Chris Martin behind it). There’s a raw sincerity on it that usually only artists that are starting their journey can achieve, because after a while I guess it’s natural that you keep noticing what worked before and what your fans enjoy. Thats’not fair. Wiwiblogs only advertises for the netherlands and russia. Maybe they pay the most? See this is what they call envy in dictionaries. And I remember in January and February Spain, Italy and France got a lot of attention too. And now it is Netherlands, Switzerland, Russia and Portugal and maybe Cyprus. It’s all about perspectives, how you would like to see the situation. It sure must be as they like it?? As last years dutch entry of Waylon, was almost burned down to the ground, when he used the coloured ‘crumping’dancers on the stage!! Just saying, as NLD’s were hardly mentioned afterwards by Wiwi!! Oh, please……..this is too saccharine. Being my team just banged off Champions League, I feel him. Loving Atleti is sometimes a losing game. Are you a… w h o r e? Of course is a losing game. what do you expect : an engagement ring? Why dislike, girl, you need to respect yourself as a girl/woman, don’t jump in bed with athletes and complaine. Is Western Europe so out of touch with reality? You call someone a word starting with a W and then you wonder why you get dislikes. You should wonder why you only got -8. Guy, Atleti is Atletico de Madrid, the football team I support. And for your interest, got my ring, and my husband is more of a men than you. This is the only adequate winner this year. If Arcade loses against generic and uninspired Russia or Sweden it will bury the last hope that Eurovision has something to do with music. Even though I like both Russia and Sweden (and ESC could have much, much lower standards winner when it comes to this), I agree that it’s The Netherlands (or Island) who should be victorious. I strongly disagree. This song and his voice are quite weak. I see much stronger contentants like Italy, Russia or Iceland (yes, i like Hatari) and i think it will be strong and unpredictable competition. Problem, this is also a generic song. Nicolas, you give this “GENERIC” song a lot of attention, i see you commenting so much at EVERY article about Duncan.. Are you sure you don’t like it…???? Russia performs just before NL in the second semifinal. So that the voters and the juries will be too blown away and still trying to process what they’ve just seen to properly focus on the Dutch. Where do you get that info from? Running order hasn’t been decided yet. And even if it turns out to be so, Arcade is strong on it’s own to leave and impression and qualify. I think Sergey will be closer to the end of the 2nd semifinal. Duncan will be somewhere in the middle. I think so too. It makes sense to approach the end of the show with entries that have more energy to them and keep the viewers engaged for the vote. Well you might think so but that doesn’t make it real. Nope, no such luck for Duncan the Loser I’m afraid. Why don’t you stick to the real facts for a change. In addition to what Bear said. For anyone wondering about the decisions on the running order, please watch the following video: “How is the running for the Grand Final decided”? It’s on the Eurovision Song Contest official youtube channel. I think it’s the same for the SFs since I haven’t bothered to see the video again but the same logic should be followed for both SF and GF. There is literally zero chance that Christer Björkman will let the numbers one and two of the betting odds perform right after each other. No indeed. And I think Russia will be somewhere in the middle. Spot 12. And Netherlands at 16. There’s a glaring grammatical error in these official lyrics… also, what’s up with the number of articles on Duncan? You’re just tempting the haters at this point. They are having articles with lyrics of every song, about three per day. Boooohhhoo. Get over it already dammit. We are not here to watch you cry. We are here for some Swiss dirty dancing, some Icelandic leatherboys and some Russian screaming! Lol where did he cry? @dutchie No not really. I want it to win because it’s a great song, it’s just not a masterpiece. It’s more that I find other songs underwhelming rather than this being overwhelming which is why I’m ok with this song coming out on top even though I’m not particularly enthusiastic over it. Other years I wouldn’t want this to win but this year I wouldn’t mind it winning. And he doesn’t have a powerful message, he just has ok lyrics that people make out to be more than what they actually are. It’s just another love song really. First you say that viewers vote for a song with a strong message, and then you mention two winners without a message. That’s what I mean. It can not be your taste, personally not a fan of ballads, but this song will touch many souls. It’s not an overproduced song written specifically for Eurovision. It’s genuine and he delivers it in a great way. I’m happy the Netherlands picks real artists who are bringing their own work. Boring and repetitive. Just like the song itself. There are some boring and repetitive people who write desperate, boring and repetitive comments trying to bring a wonderful song down in a nasty way instead of argueing why they don’t like a particular song in a respectful and constructive way. Clearly, these people do not enjoy music. All they care for is their country winning ESC so they can believe that they are better than others. Surely these people live boring and repetitive lifes. I agree with you, Wiwibloggs is promoting the Netherlands a bit too much, there are also other countries wich deserve more attention. Could it be that it is given so much attention because it is a good song??? For years nobody paid attention to the Netherlands, so it is really not because of the Netherlands alwys being promoted. This year NL is one of the best. Learn to live with it. Next year it might be your country who is favorite.